1 Comment This post may contain affiliate links. Do you like fish of all kinds? Cod, salmon, tilapia, tuna? 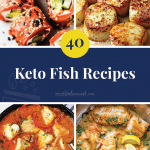 Even if you aren’t a fish lover, these 40 flavorful keto fish recipes will amaze you! 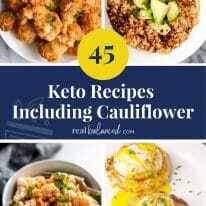 Fish is a healthy low-carb protein source that goes great in a keto diet! 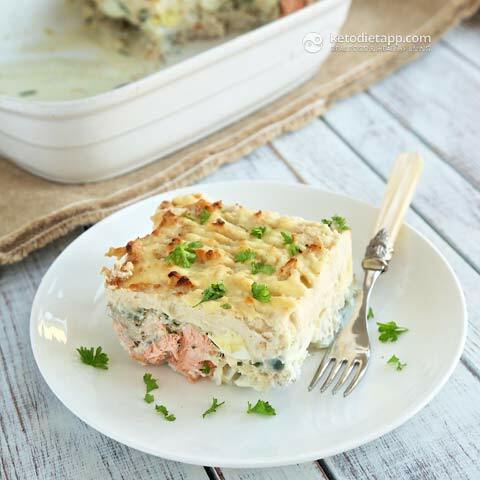 It is versatile and flavorful, making it suitable for many types of recipes from baked fish to crab cakes to tuna casserole! 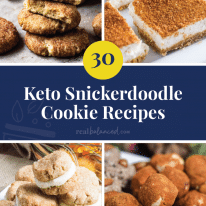 Most of the time, unfortunately, fish recipes feature many high carb ingredients such as bread crumbs, noodles, batter, or bread. But that isn’t something a few keto substitutes can’t fix! 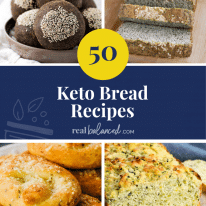 Lots of keto fish recipes use almond flour, pork rinds, cauliflower, and more to make them ultra low-carb, while still maintaining their classic flavors and textures! 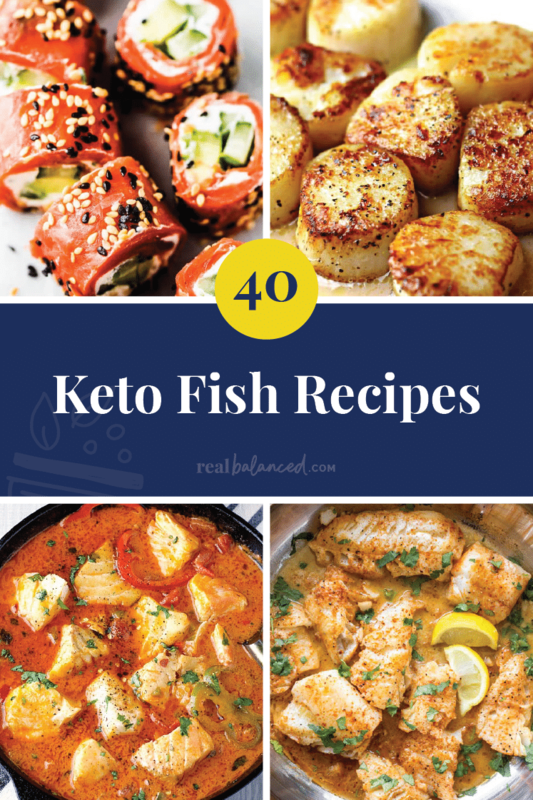 Check out the 40 keto fish recipes below! 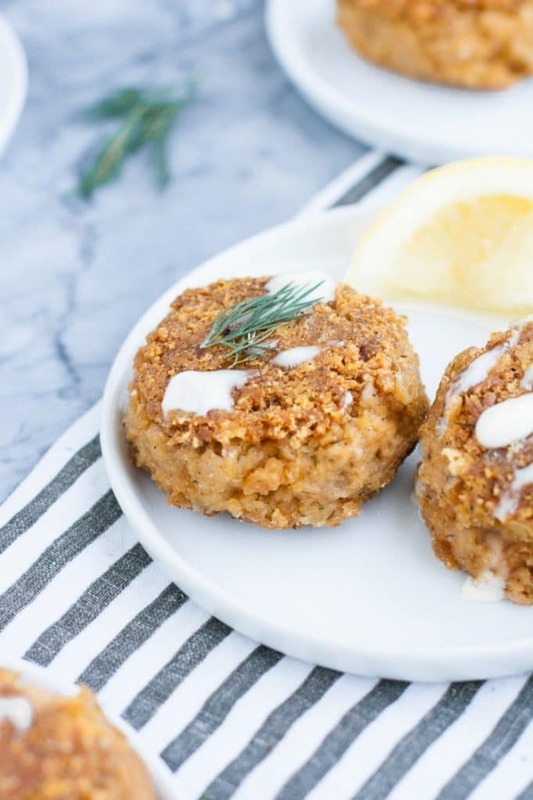 These healthy tuna cakes are a great meal prep recipe that you can enjoy for lunch or dinner all week long! 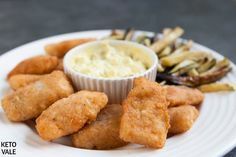 This low-carb version of fish and chips is just as crispy and flakey as the real thing! This instant pot meal is soooo easy to make and is just about as healthy as it gets! Want to feel like you are at a five-star, elegant restaurant right in the comfort of your home? 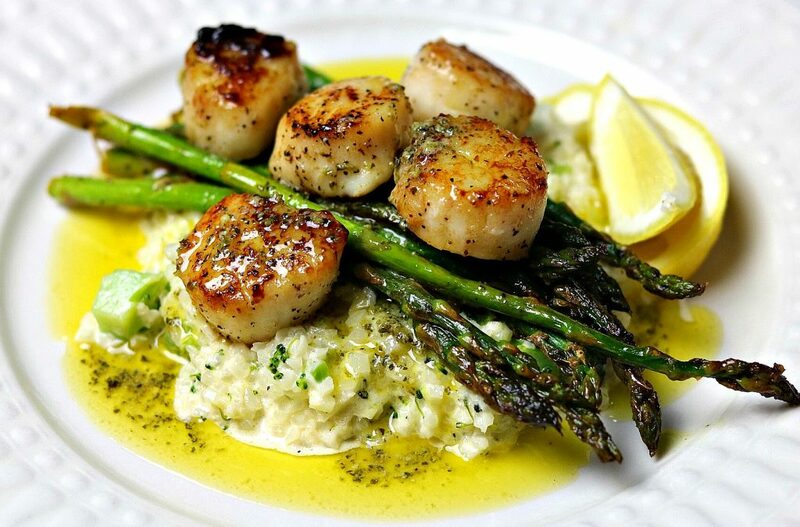 Make this keto scallops and risotto meal! These light and fresh tuna rolls make a great snack, appetizer, or meal! 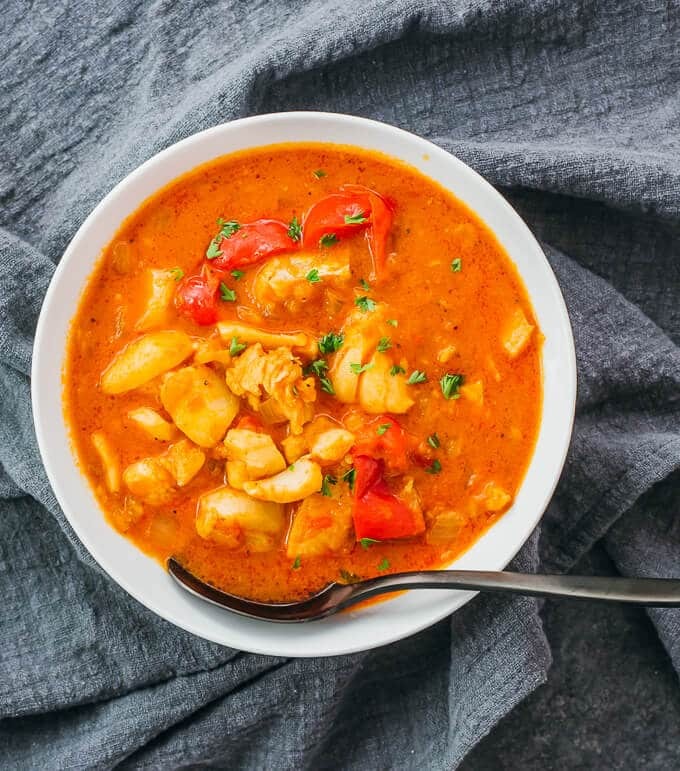 This flavorful fish stew will keep you feeling warm and cozy on cold winter nights! 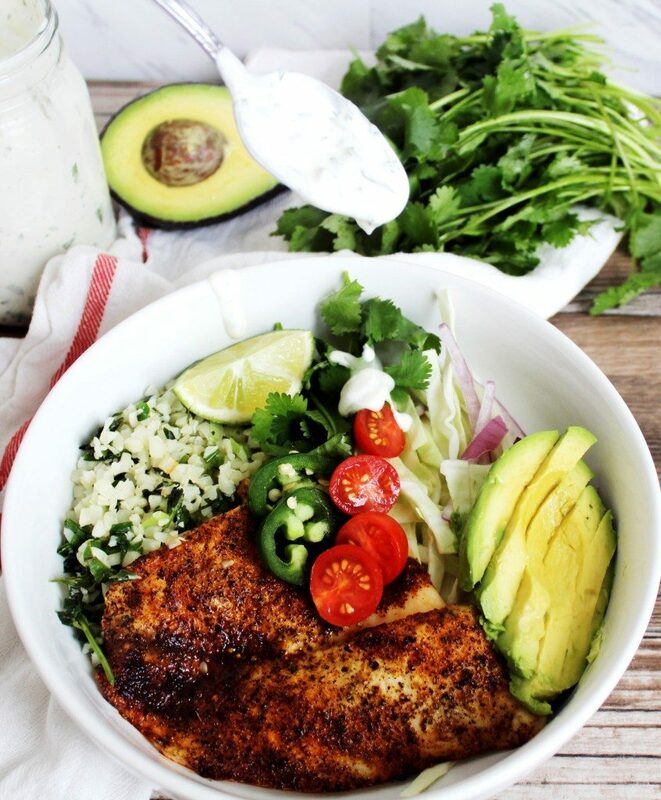 Change up your taco Tuesday meal with one of these healthy and flavorful fish taco bowls! 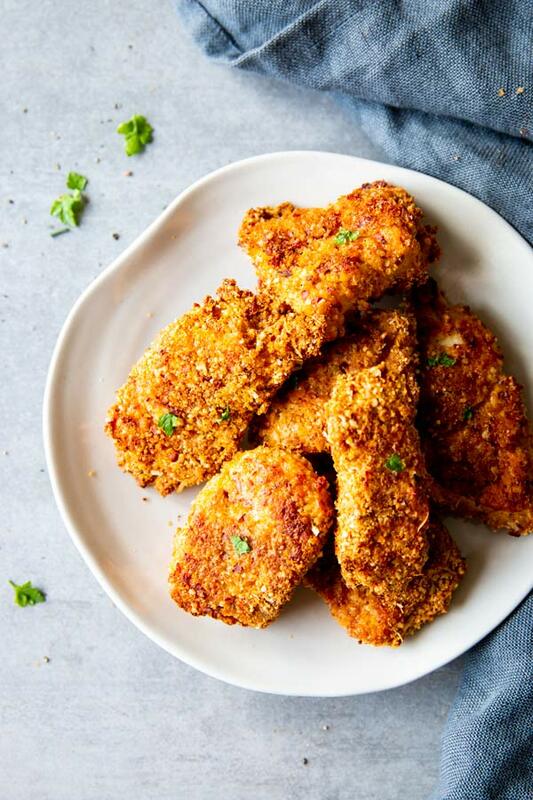 The whole family will LOVE these keto fish sticks, which are made crispy in the air fryer! 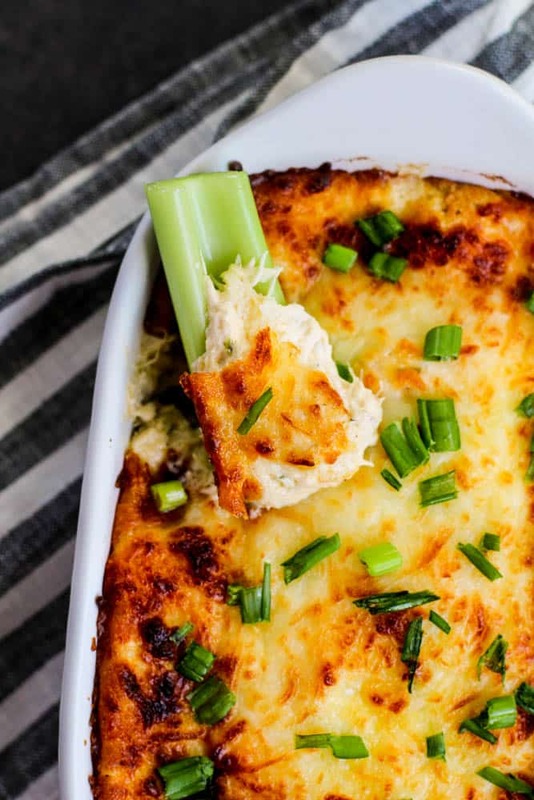 This crab rangoon dip goes great with some fresh celery and carrots! 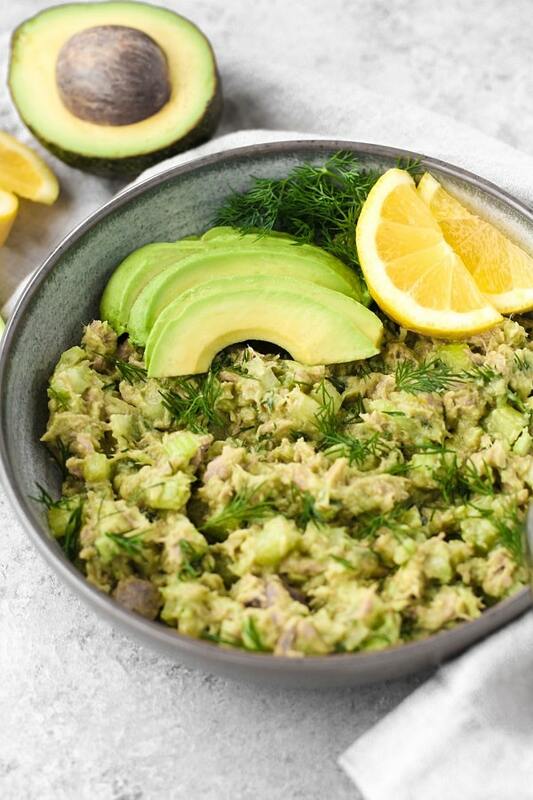 This easy-to-make tuna salad is the perfect on-the-go meal or post-workout snack! 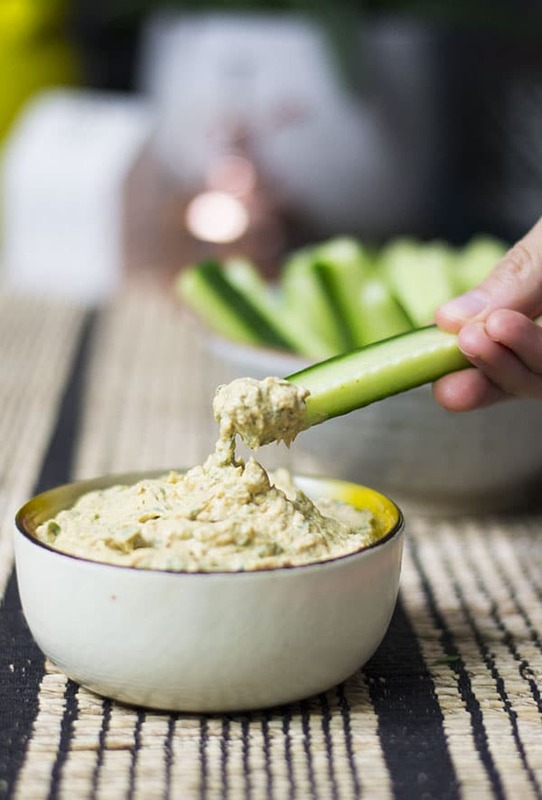 This salmon dip is sooo creamy and has the best flavor EVER! 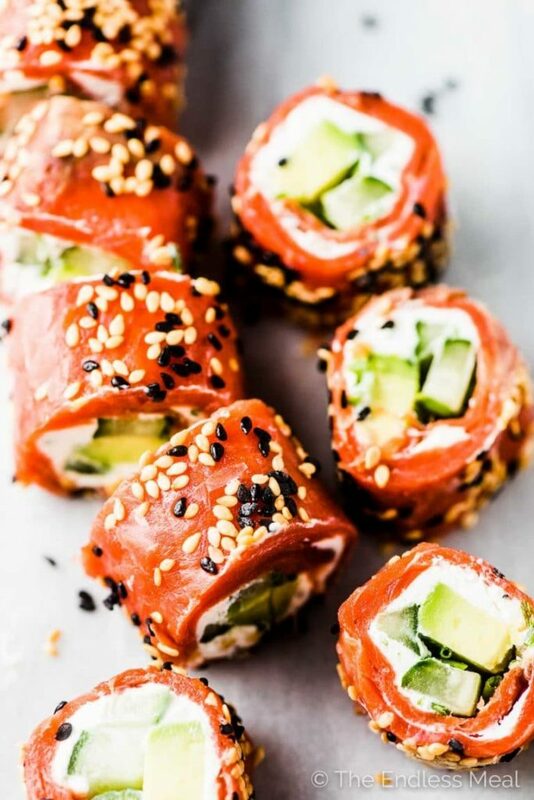 Bring these salmon rolls to your next party for a fresh and healthy appetizer that the guests will love! There’s nothing better than a sheet pan meal on a busy night! 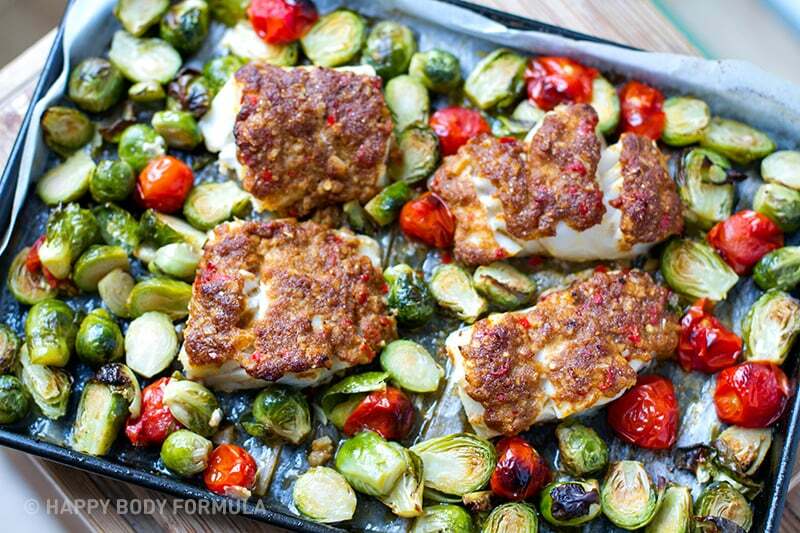 This week, try this spiced cod with brussels sprouts recipe! 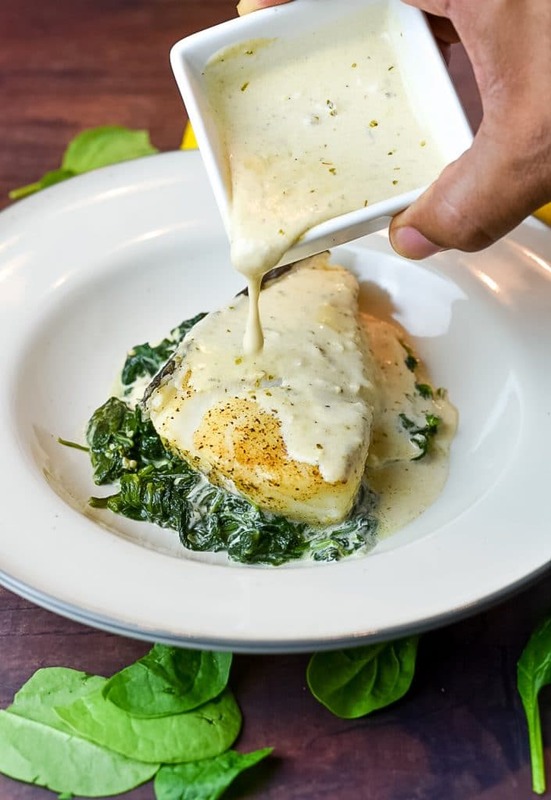 This chilean sea bass recipe is so flakey and buttery that is practically melts in your mouth! Plus, the creamy sauce is to die for! 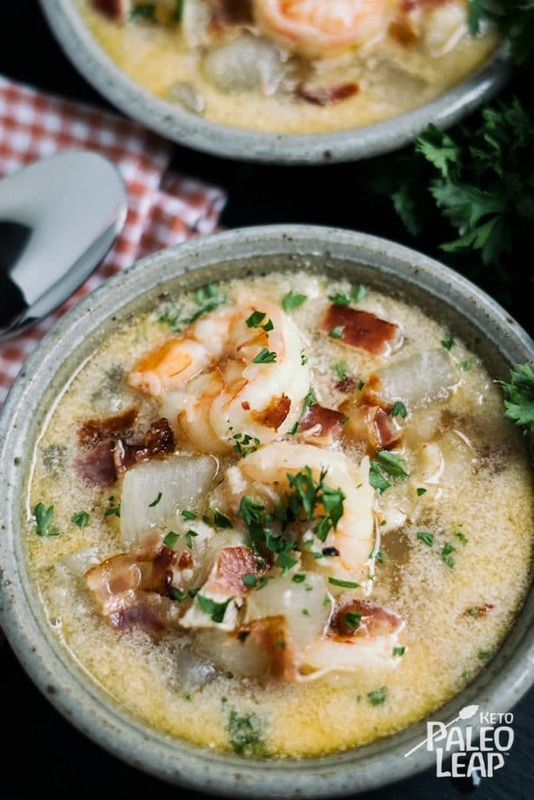 This soup combines shrimp, white fish, crab, and even bacon to create a delicious chowder that is bursting with flavor! 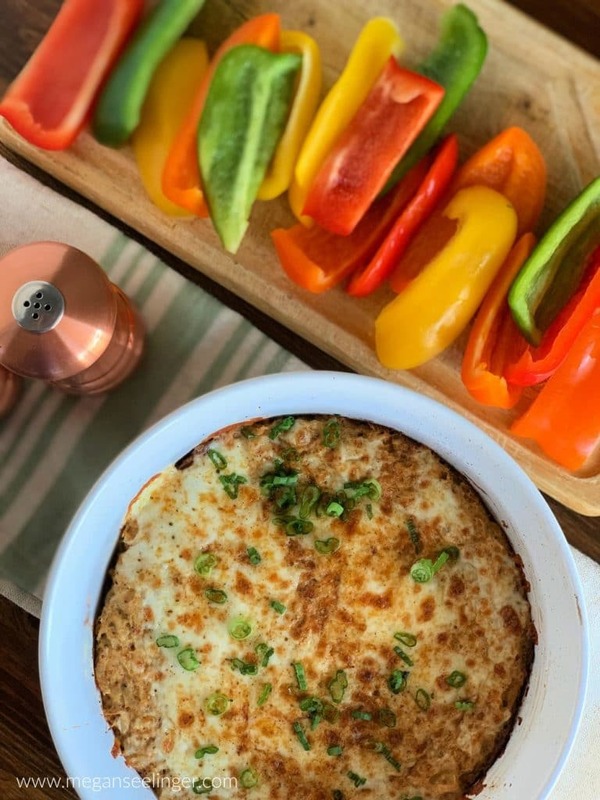 Serve this crab dip with some sliced bell peppers for a healthy snack or appetizer that is hard to resist! 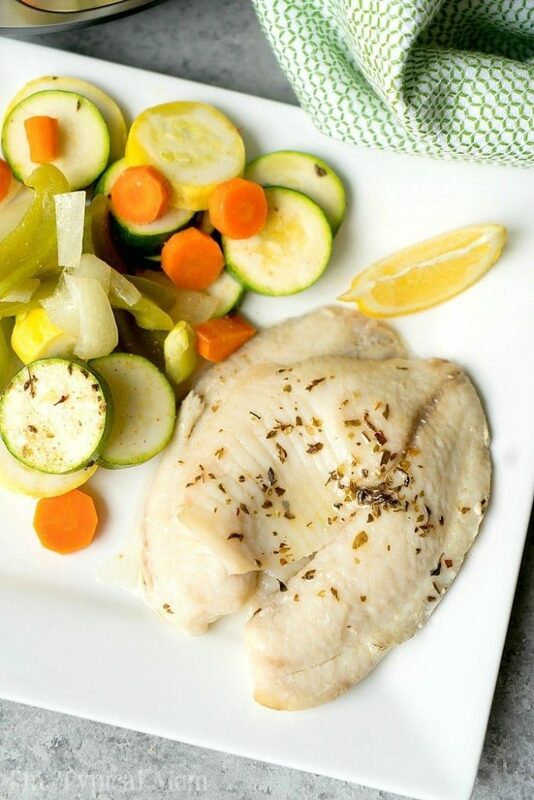 This low-carb halibut recipe is easy to make and only requires six ingredients! Not only will you be impressed at how delicious this meal tastes, but you will also be surprised at how simple and easy it is to make! 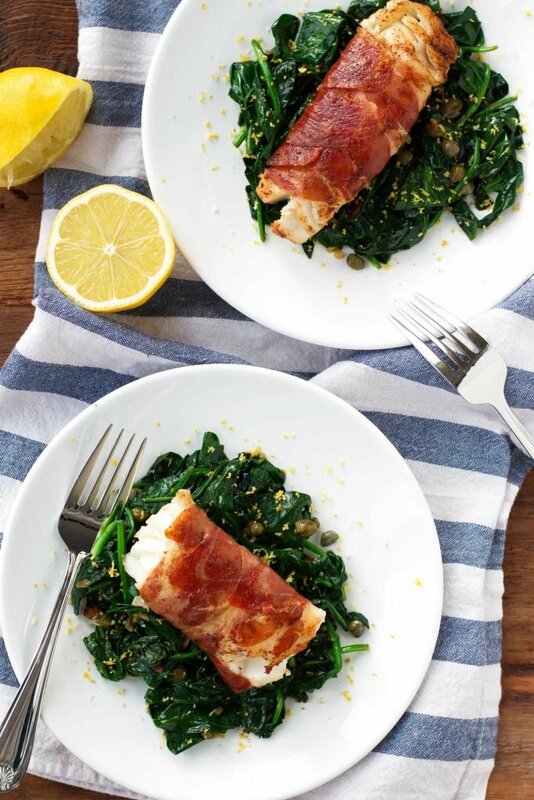 This fish is soooo crispy, but not as heavy and filling because it is baked in the oven! Only havte 20 minutes to make dinner? No problem! 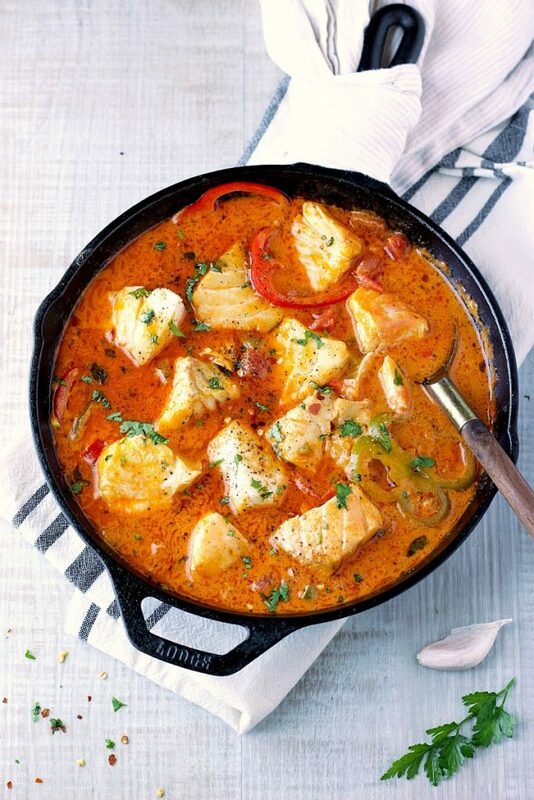 Make this easy and tasty fish stew! 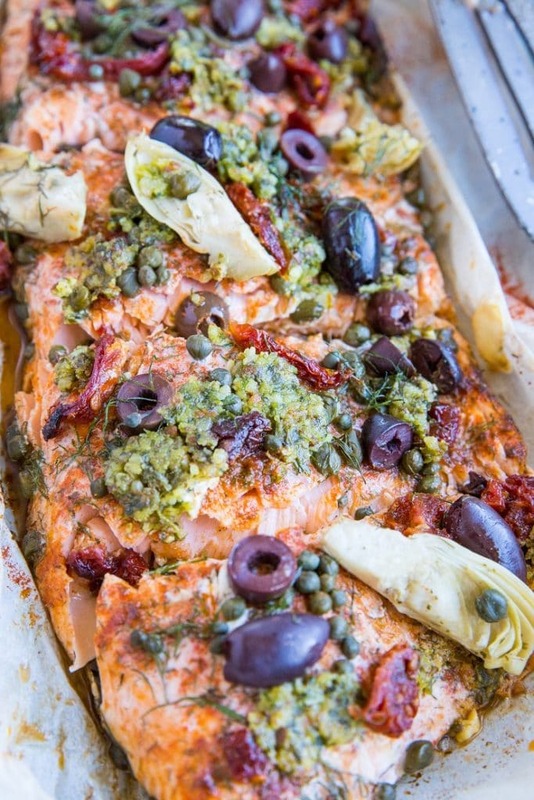 This salmon recipe never fails! 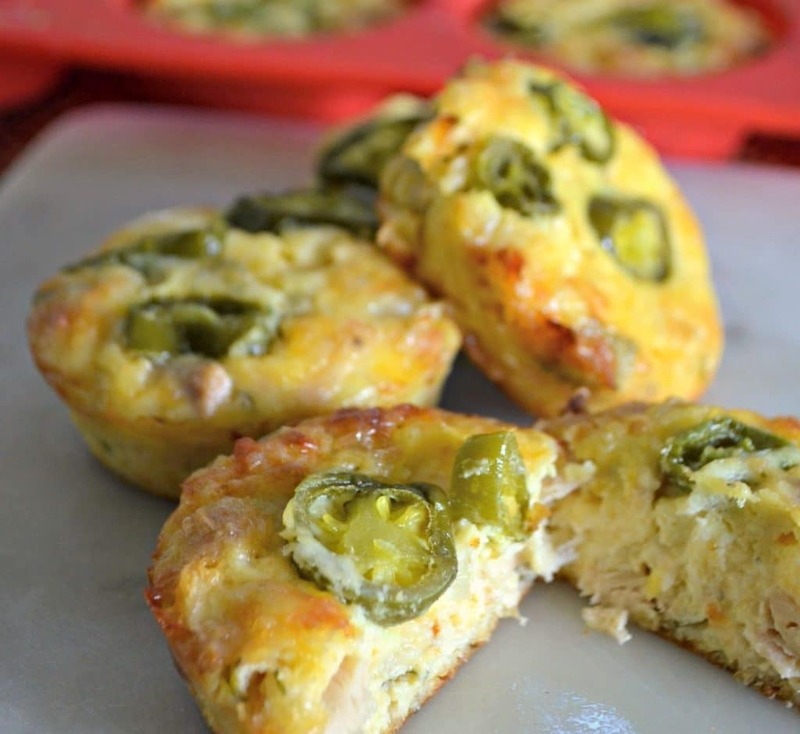 It is super flavorful and always turns out moist, flaky, and delicious! 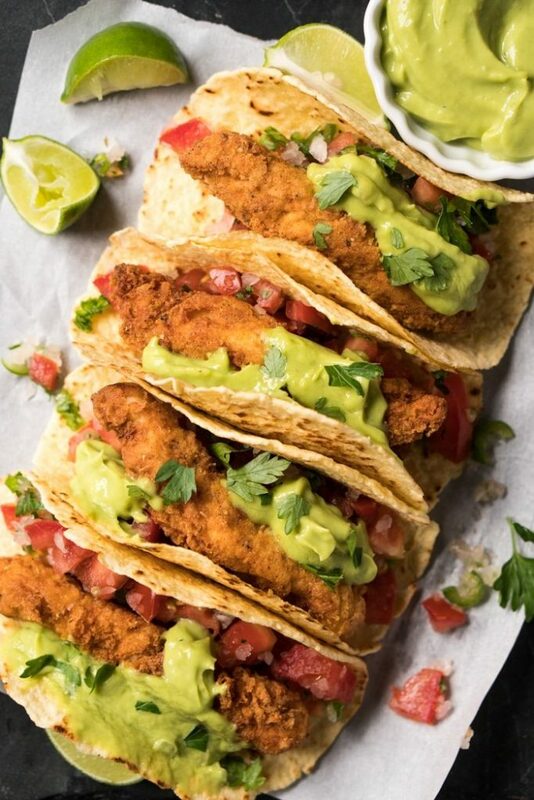 You would never guess that these crispy fish tacos were low-carb and keto! This casserole will be one of your new go-to dinner meals! 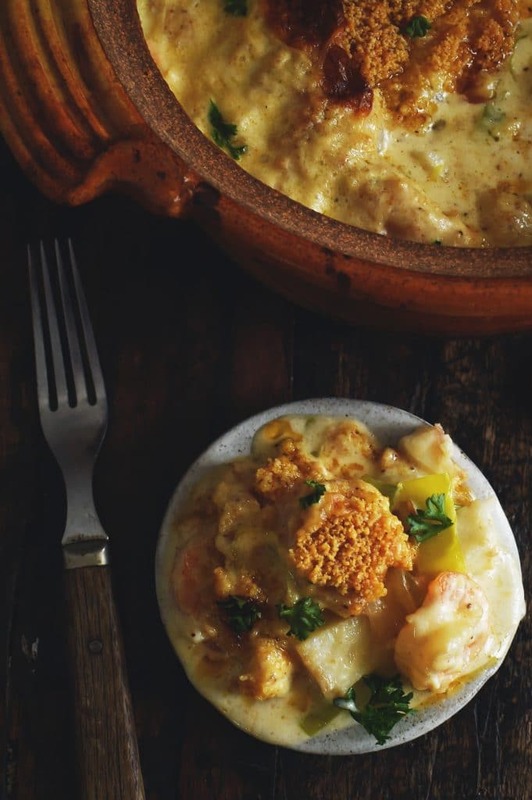 The combination of shrimp, cod, and creamy sauce is irresistible! 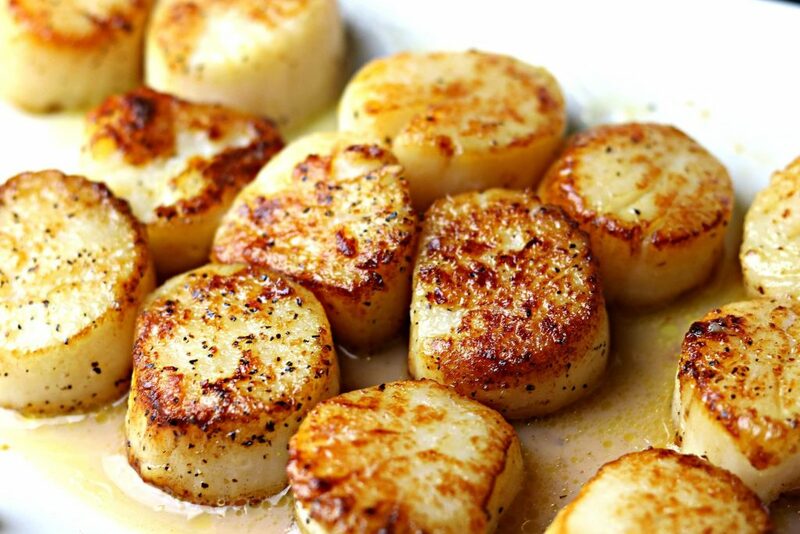 This simple, yet tasty scallops recipe is done in minutes! 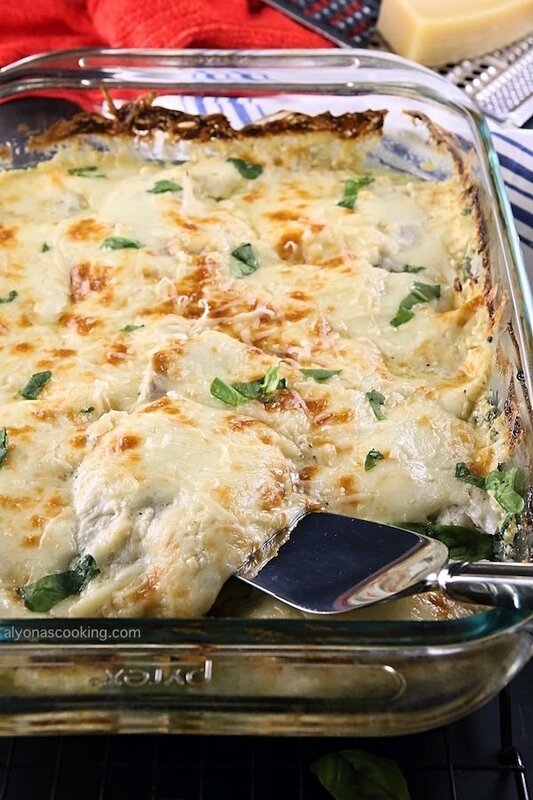 This casserole is super cheesy and is sure to please your family or guests! 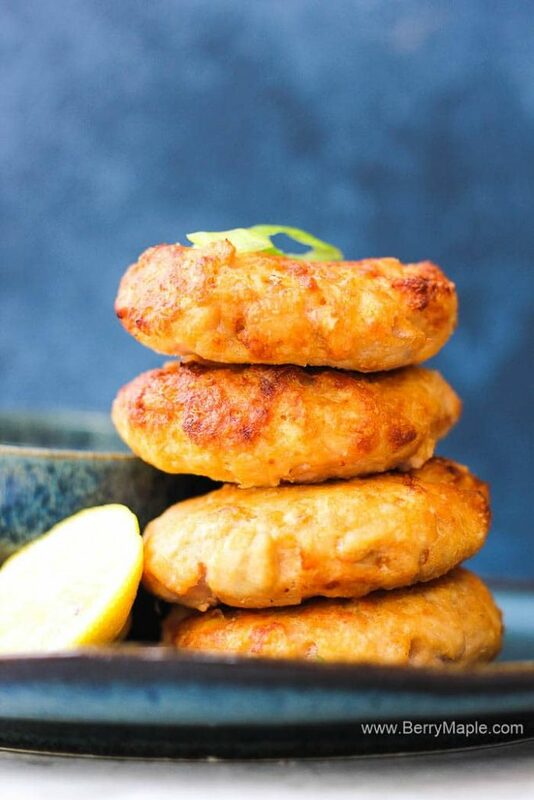 Even if you don’t like salmon, these versatile fish patties can be made with tilapia, cod, catfish, or steelhead as well! 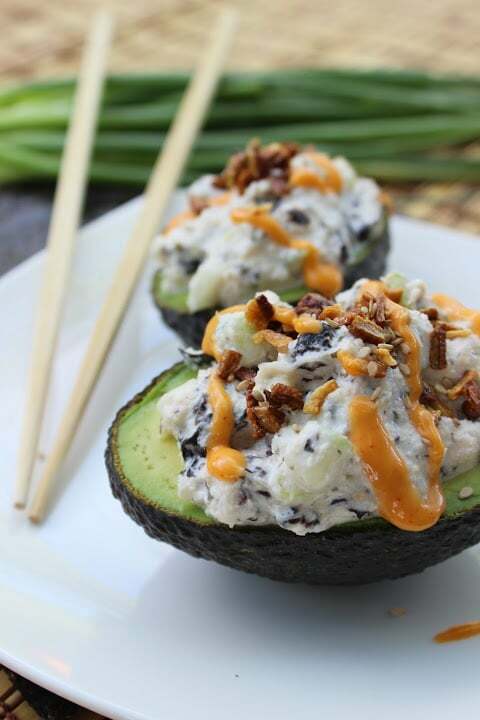 Instead of rice and seaweed, these sushi fillings are stuffed into an avocado! I’m not complaining! 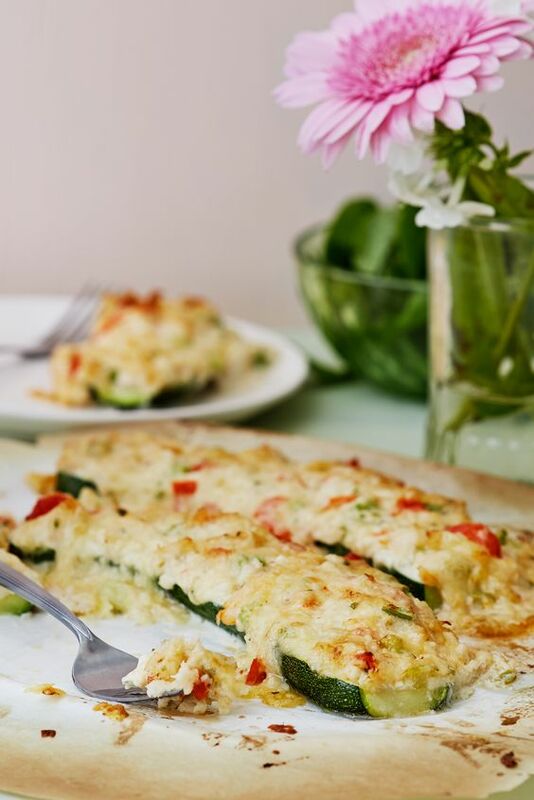 These zucchini crab melts are sooo cheesy and easy (see what I did there??)! 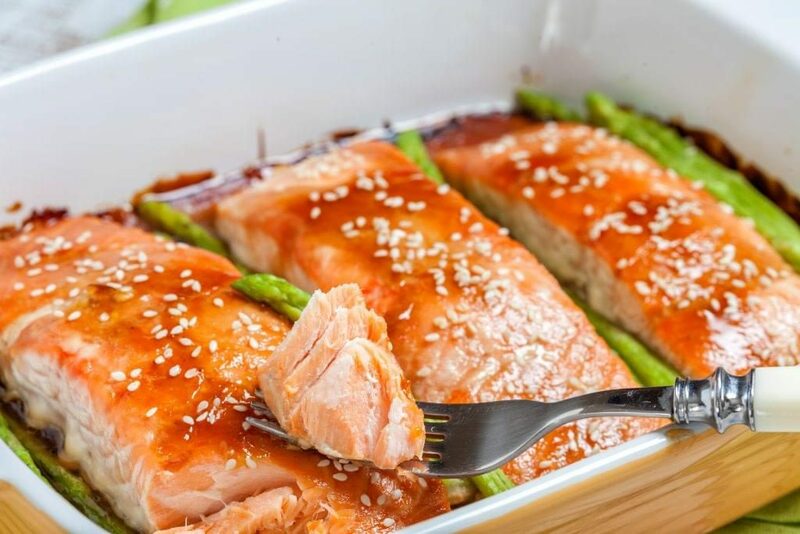 Unlike many teriyaki glazed salmon recipes, this dinner recipe contains NO sugar! 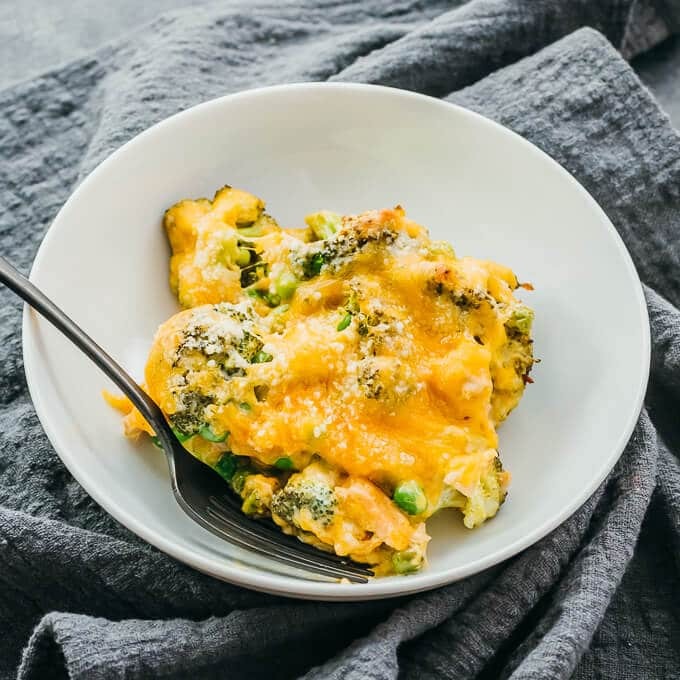 You won’t miss out on the carbs in this protein-packed fish pie because it is extra cheesy and uses cauliflower instead of potatoes! 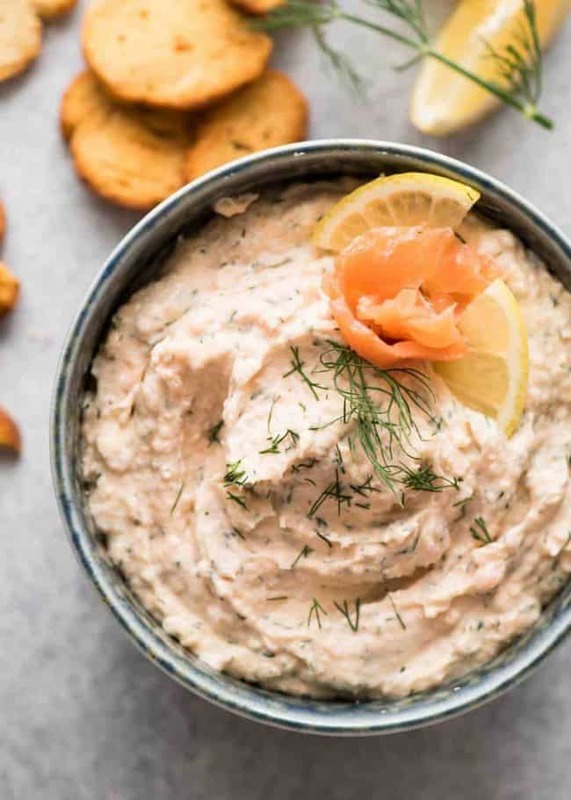 If you like smoked salmon dip, you should definitely try this smoked mackerel dip next time you need an easy appetizer or snack! 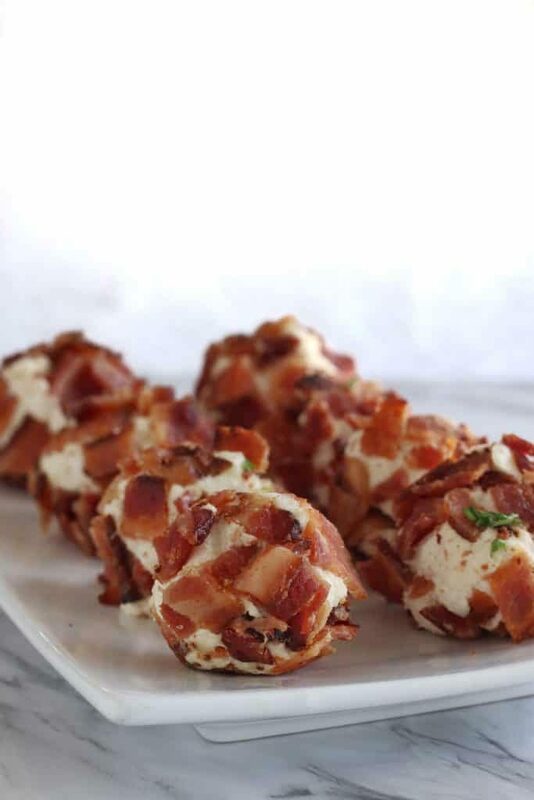 These savory fat bombs make a great snack, appetizer, or post-workout snack! 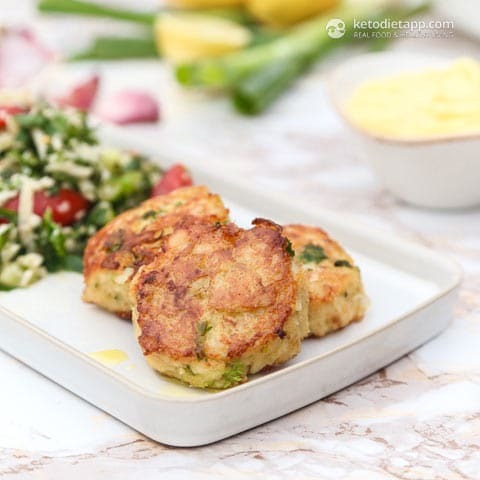 Looking for a flavorful gluten-free crab cake recipe? 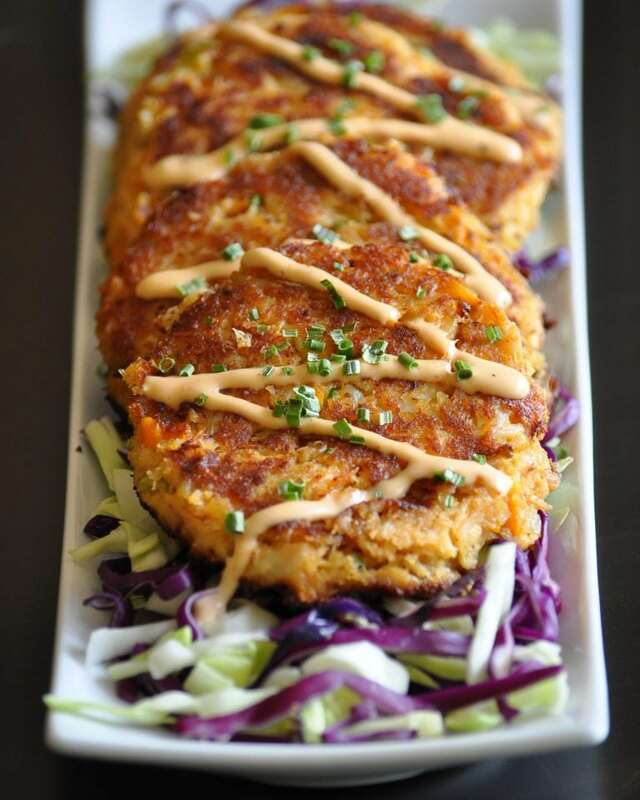 You gotta give these cajun trinity crab cakes a try! 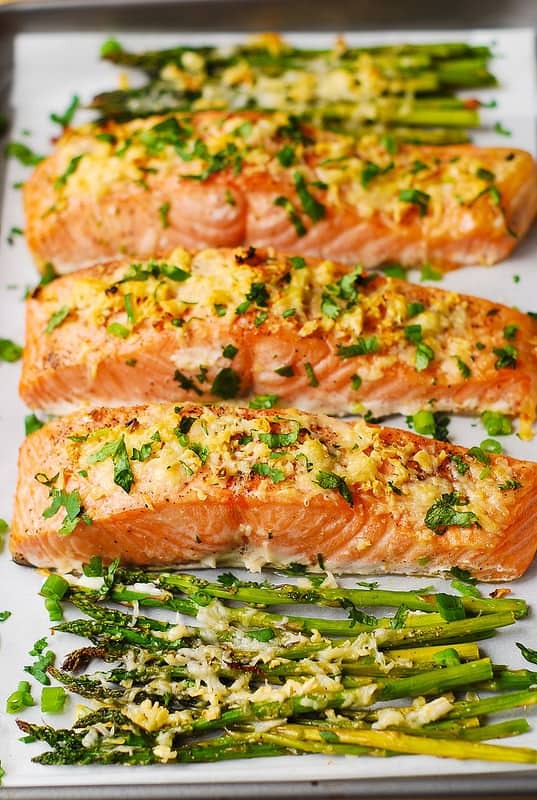 The crispy and cheesy parmesan topping adds the perfect touch to this salmon and asparagus sheet pan meal! 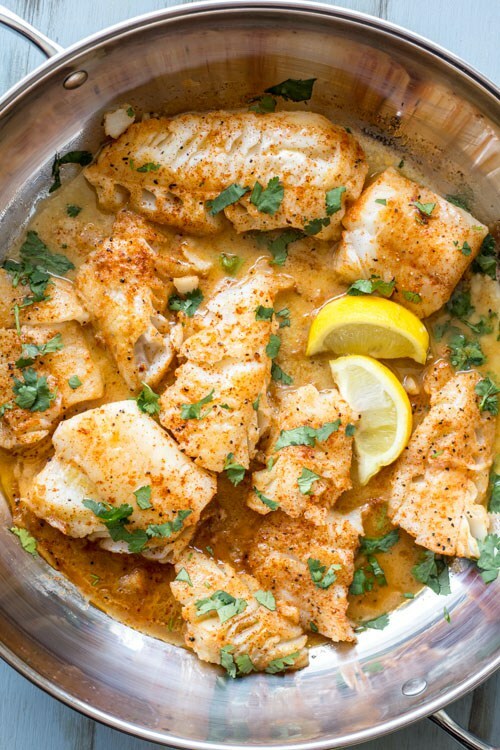 All you need is ONE skillet and A LOT of butter to make this easy 10-minute cod recipe! 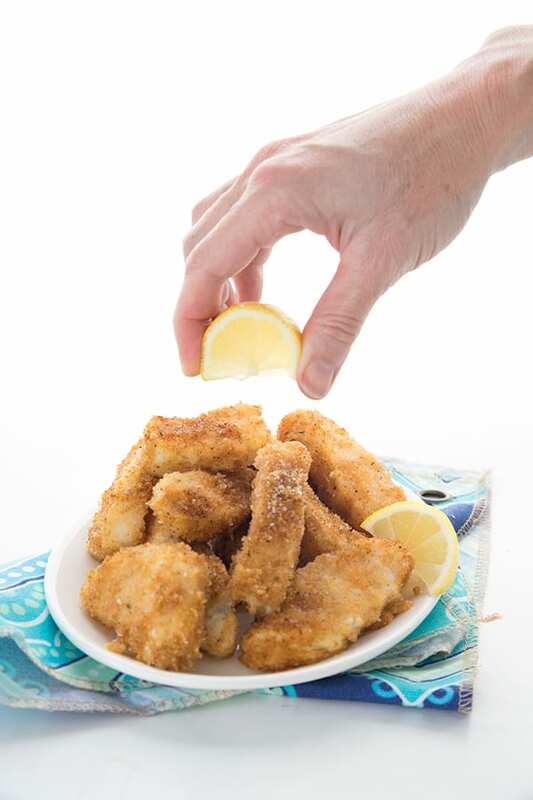 Remember those frozen fish sticks you used to love (or hate) as a kid? 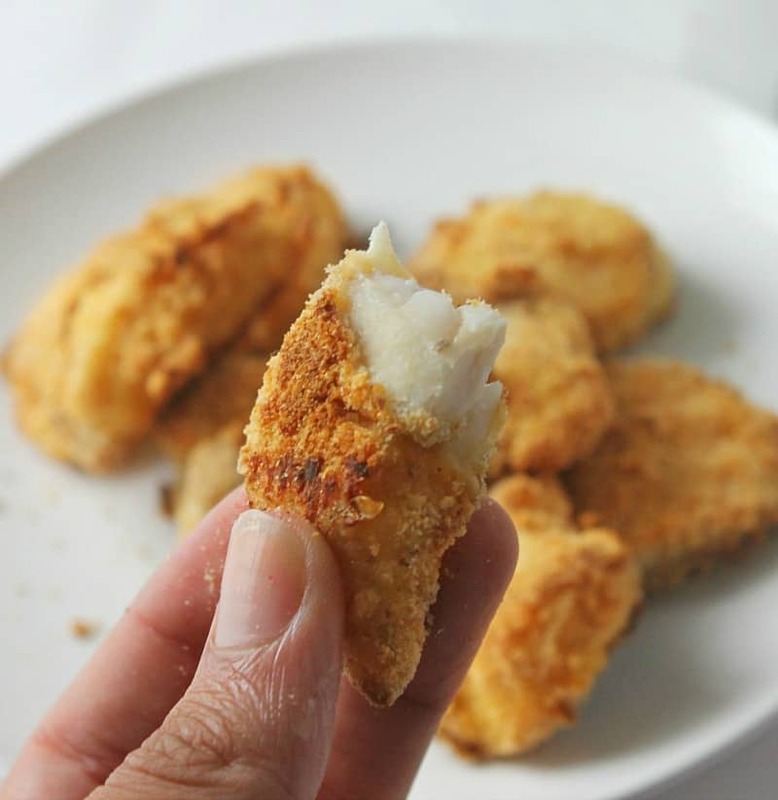 These keto baked fish sticks are waaay better and waaay healthier! This ain’t your momma’s tuna casserole! It is noodle-less, cheesy, and veggie packed! Throw a couple of these tuna cakes in your salad or lunchbox for a low-carb protein source that tastes amazing! 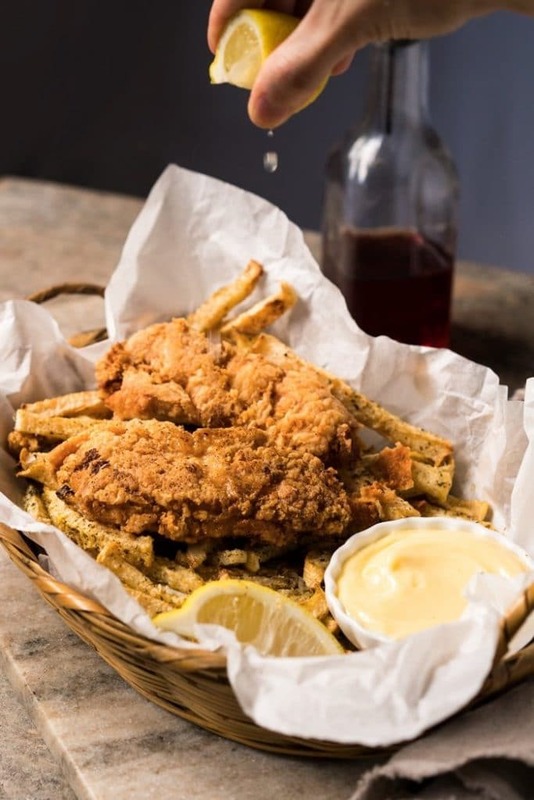 Pair this breaded fish and zucchini fries with some mayo or low-carb ketchup for a tasty keto version of the British classic! Do you have a can of tuna sitting in your pantry? 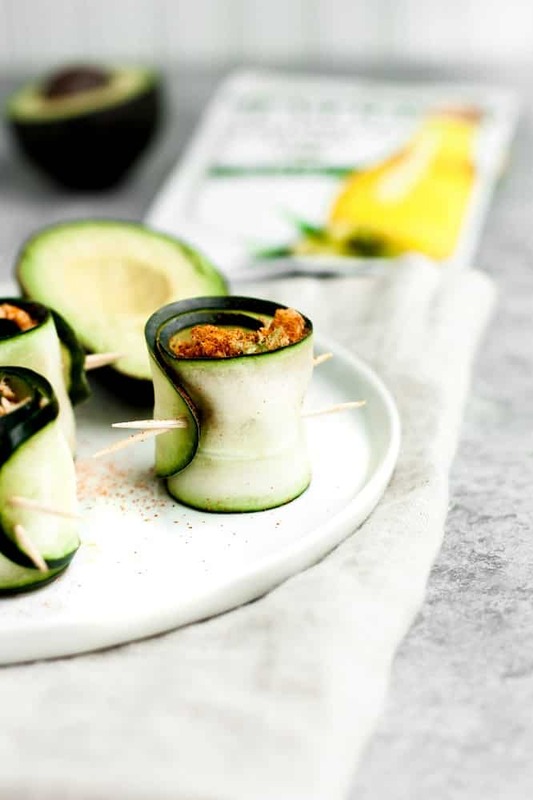 Make these spicy keto tuna melt cups, which are great for a convenient, on-the-go meal or snack! What a great collection of tasty fish recipes. 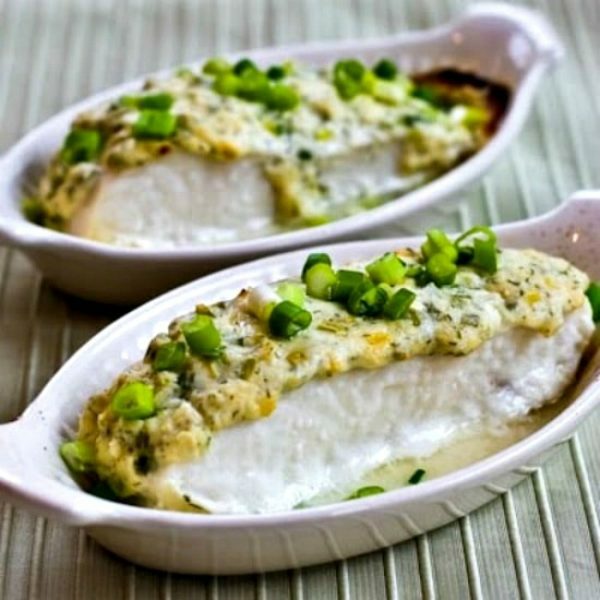 Thanks for the shout-out for my Baked Halibut!